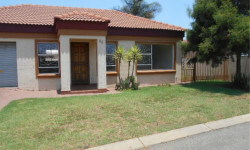 Just Property Vaaltriangle has an office in Three Rivers close to the River square Shopping Centre as well as an office in Louis Trichardt Boulevard in Vanderbijlpark. 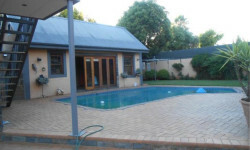 The Meyerton and Henley on Klip areas are serviced from the Vereeniging branch and Sasolburg and surroundings are serviced by the Vanderbijlpark office. Our Administration is handled at the Vereeniging branch. 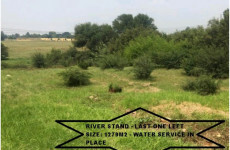 Lying on the banks of the northern loop of the Vaal River, Vereeniging (literally ‘uniting’ in Afrikaans) falls within an area known as the Vaal Triangle about 60 kilometres from Johannesburg - a roughly triangular, essentially rural, area bounded by Vereeniging, Vanderbijlpark and Sasolburg. This part of the world is home to major industry and Vereeniging alone is responsible for manufacturing cables, farm equipment, bricks, tiles and processed lime. One hears a lot of Afrikaans in Vereeniging, and the community makes its living for the most part from farming and the nearby coal mines - with reserves estimated at around 4 billion tons. Light-heartedly known as the place in South Africa with the most vehicle dealerships per square metre, the city is probably best known for the Treaty of Vereeniging, responsible for bringing the Second Boer War of 1899 to 1902 to a close. The memorial which marked the spot, on which the treaty was signed, now rests at the city library. Take a tour of Klip River Terrace - one of the most valuable archaeological sites in the world where implements from the Stone Age have been uncovered. Conversely hike through Suikerbosrand Nature Reserve - a beautiful 12 000 hectare stretch of land that offers a number of substantial overnight hikes through rugged terrain in the shadow of the Suikerbosrand Mountains that are the backbone of the reserve.